Dr. Carole Samango-Sprouse believes that every atypical learner can learn, improve, and succeed in both life and in education. She focuses on praxis, learning and frontal lobe function in the neurodevelopment of children with ADHD, learning differences, language delays, and executive functioning challenges. She identifies targeted treatment that is specific to the child’s neurodevelopmental levels and based on the neural plasticity of the brain. Dr. Samango-Sprouse connects the dots between brain and behavior to optimize a child's neurodevelopmental progression and future. 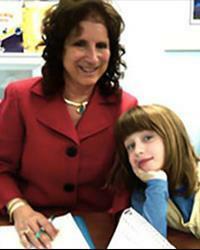 Dr. Carole Samango-Sprouse has been working with disabled children since 1982. She received her doctorate in 1987 from The George Washington University, where she specialized in the neurodevelopmental assessment of children with complex medical conditions. Dr. Samango-Sprouse is trained in neuromotor and neurocognitive development, neurobehavioral skills and oral motor assessment. She is experienced in neurodevelopmental training (NDT), assessment of pre-term infant behavior (APIB) and the Brazelton Neonatal Assessment Scale (BNABS). Presently, Dr. Samango-Sprouse is the director of the Neurodevelopmental Diagnostic Center for Children, located near Annapolis, Maryland. She is Executive Director and Chief Science Officer of The Focus Foundation. In addition, she is an associate clinical professor of pediatrics at The George Washington University, is on staff at Children's National Medical Center in Washington, D.C. and is an Adjunct Associate Professor in the Department of Human and Molecular Genetics at Florida International University. Dr. Samango-Sprouse has authored over 60 peer-reviewed articles and presents at conferences both nationally and internationally.